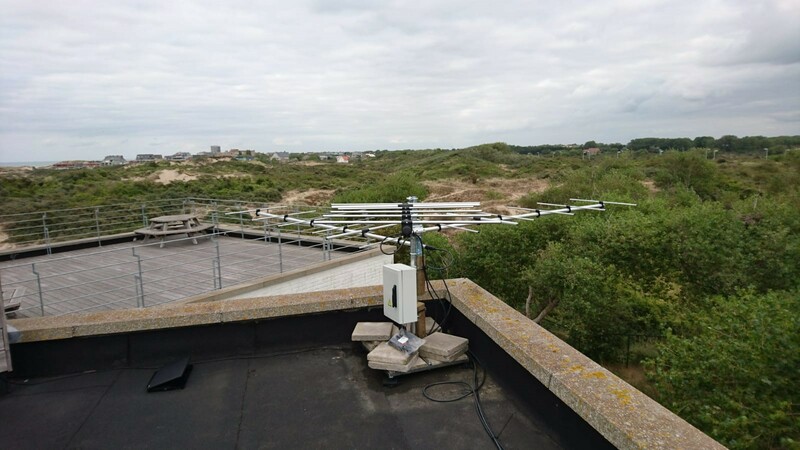 As part of the Belgian Lifewatch observatory and the Motus Wildlife Tracking System, a network of antenna stations was installed to track migrating bats along the coasts of the North Sea. Radio telemetry is a technique to track the movements of small birds and bats. A small, encoded radio transmitter is attached to these animals, broadcasting a unique coded signal at 150.1 MHz. The tag can then be detected by antenna stations continuously scanning for this signal. LifeWatch Belgium installed stations along the Belgian coast as an addition to the Motus Wildlife Tracking System. This international network, coordinated in Canada, hosts the tag and station database and thus facilitates collaborative research in animal movements. This is of particular interest for the migration ecology of bats, as these migratory patterns along the North Sea coasts are poorly understood. The urgent need for this ecological knowledge can be illustrated by the IUCN listings of some bat species under the highest levels of threat. The bat species Nathusius’ pipistrelle (Pipistrellus nathusii), parti-coloured bat (Vespertilio murinus), Common noctule (Nyctalus noctula) undertake seasonal migrations. However, the number of bats embarking on this journey and their specific migration ecology remain unclear. While some bats follow the coastline, others fly overseas. In addition, these migrations can be influenced by weather conditions. Questions on these movement patterns can be answered by long term data series of these fixed measuring stations. Currently, two stations are installed, one in Koksijde and one in Heist. The deployment of a third station on an offshore wind turbine is planned. A station consists of six antennas that are positioned at angles of 60° to ensure a 360° omnidirectional range. These antennas scan for coded signals at 150.1 MHz, as emitted by the nanotags (Lotek or Biotrack) on the back of bats or birds. The tag can weigh up to 5% of the body weight. So far, the stations registered nine Nathusius’ pipistrelles tagged in Den Hague (The Netherlands). The migration tracks of the tagged bats can be visually explored. 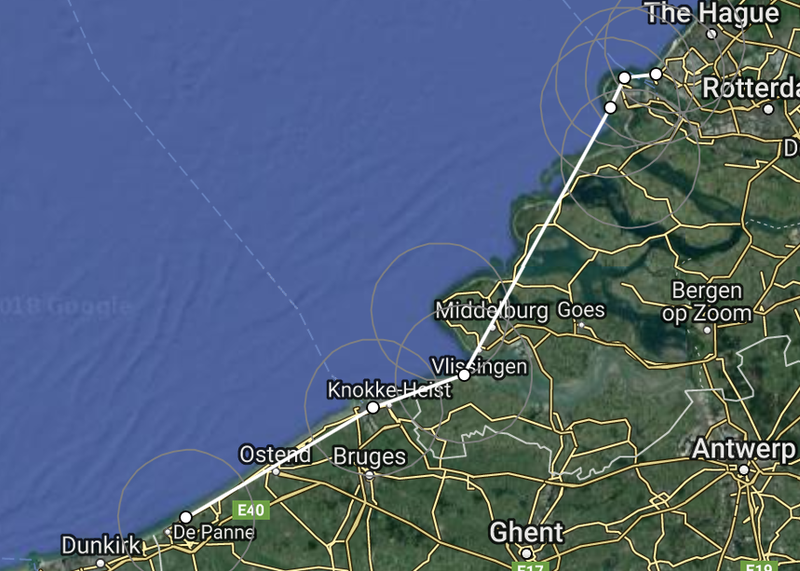 Track of Nathusius’ Pipistrelle (ID# 31541), tagged in Den Hague and recorded along the Dutch and Belgian coast.